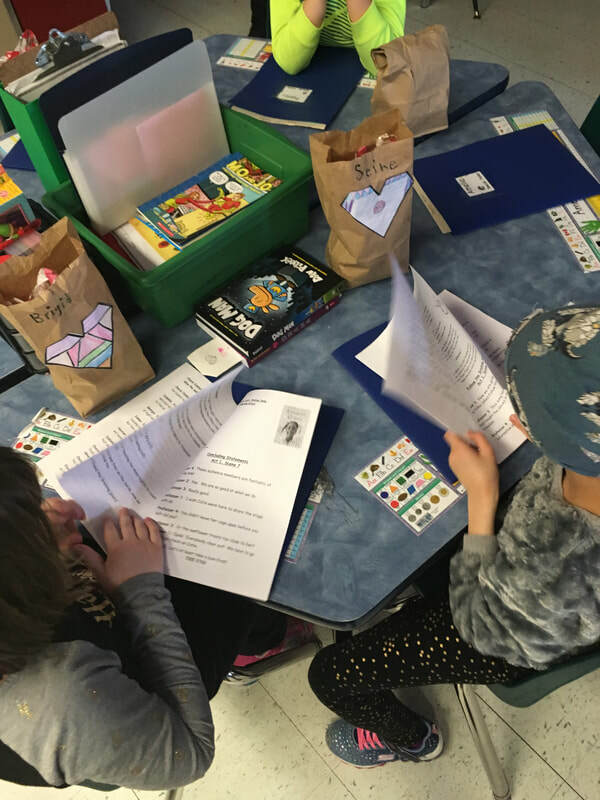 Our class was so excited this week when we received Dex's weekly report along with pictures of his adventures in the mail. 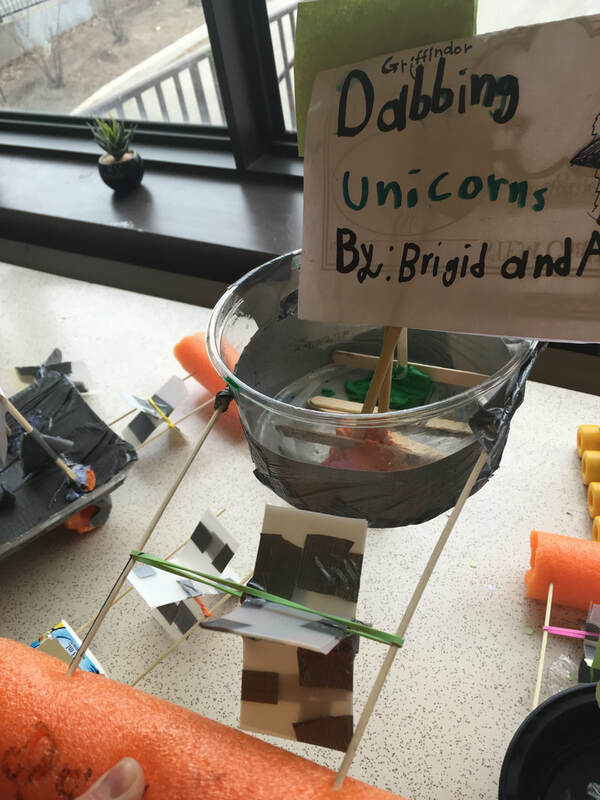 Dex explained how he combined all of the students' designs to create a vehicle that used renewable energy. 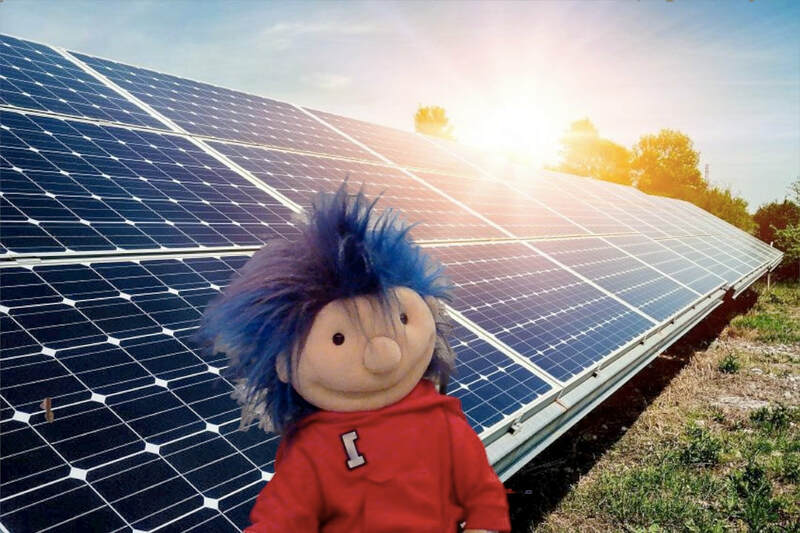 He also sent us pictures of places where renewable energy was being used. 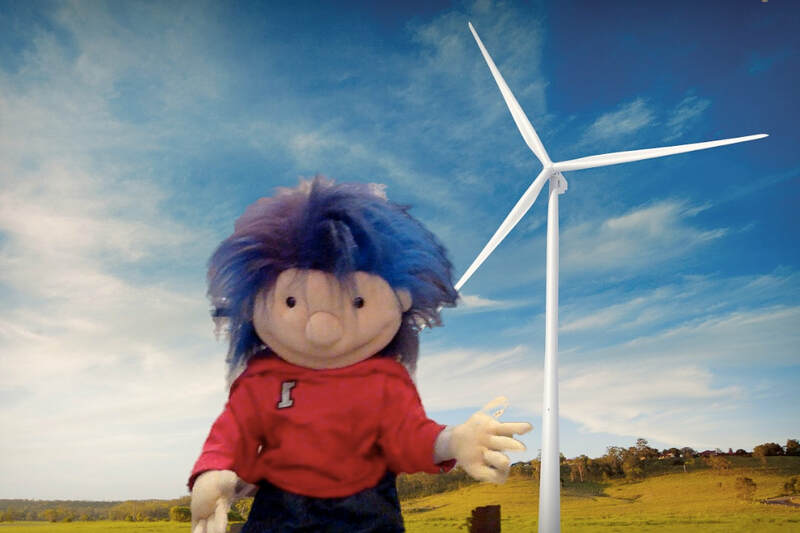 The students looked at pictures of Dex at a hydro-electric plant, a solar energy station and in front of a wind turbine. After going through this material the students read Dex's next poem which contained clues to his whereabouts. 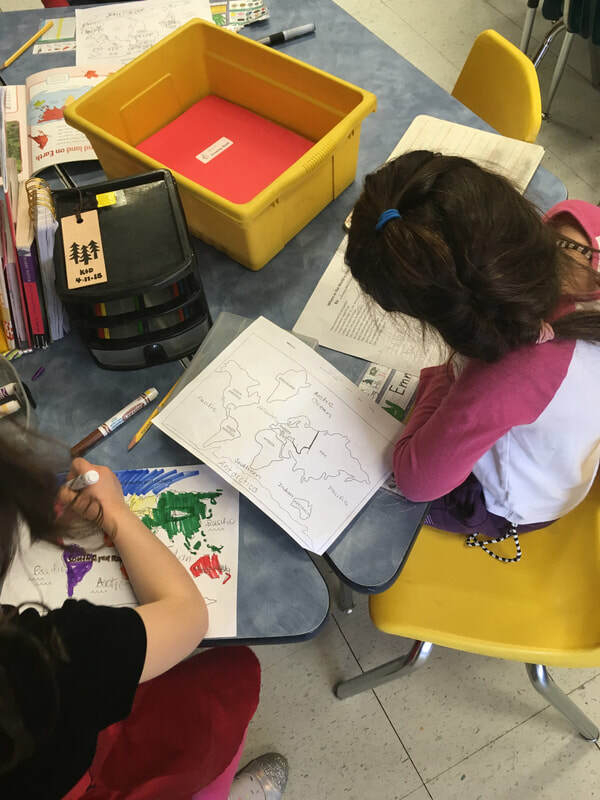 Using clues from this poem, the students inferred what country Dex was in. 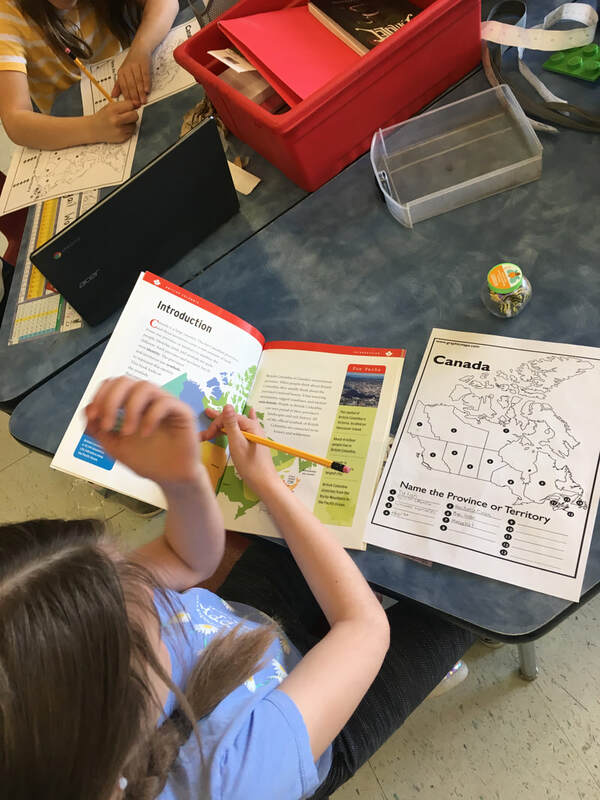 Many students explained that it had to be Canada, because the United States was just made up of states and Canada had 10 provinces and 3 territories. 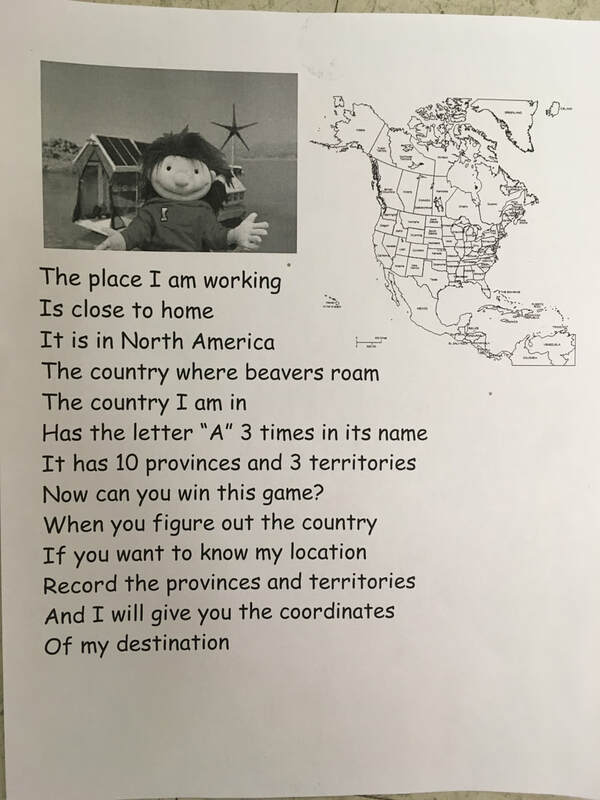 Some also explained how Canada had a beaver on its nickel so he had to be taking about Canada in his poem. Many also explained how Dex said his destination was "close to home" and Canada is home unlike the US or Mexico. 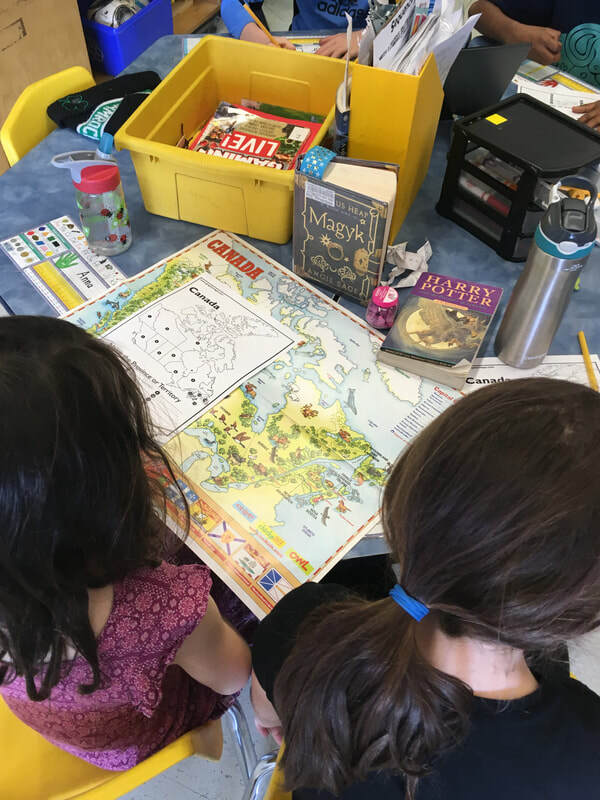 As Dex mentioned that he would not give the students their next clue until they mapped the provinces and territories, the students used computers, maps and books to accomplish this mission. 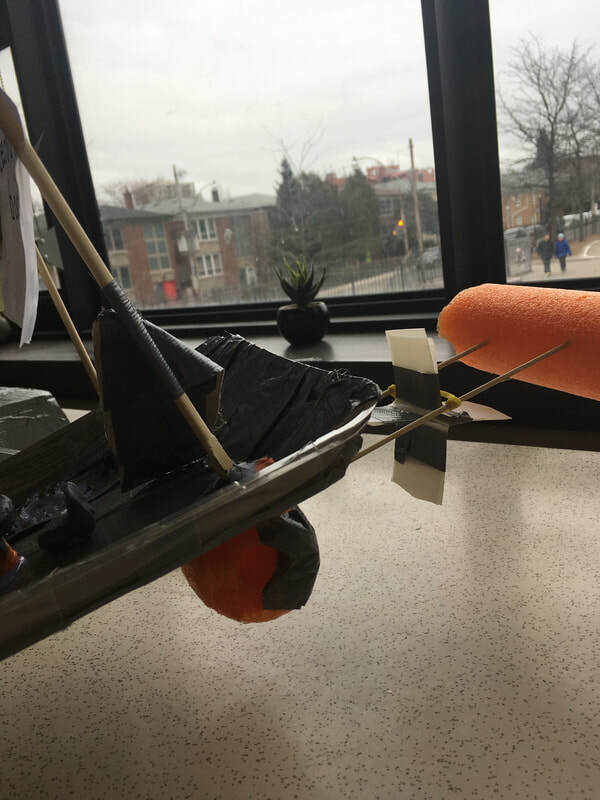 Last week, the students learned how to construct a vehicle using energy from wind, muscle and moving water. 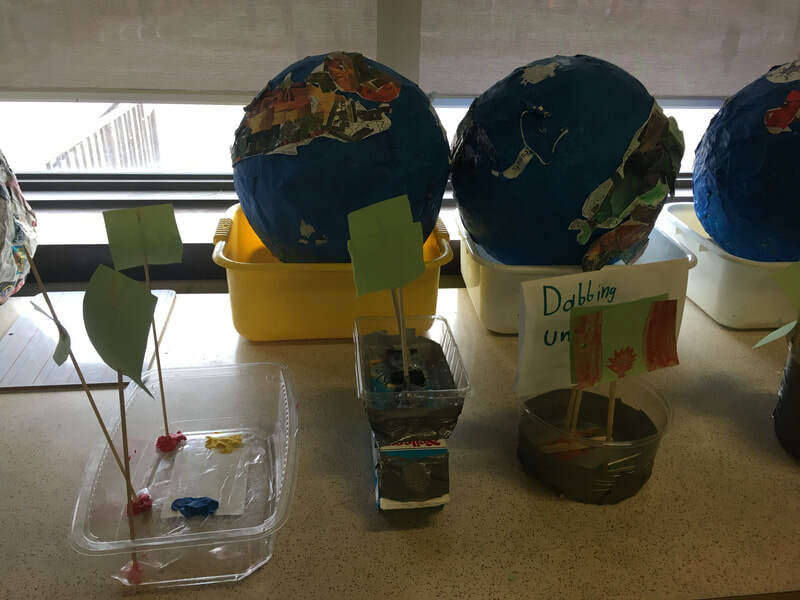 This week they learned how you can use the power of the sun, moving water and wind to create electricity. 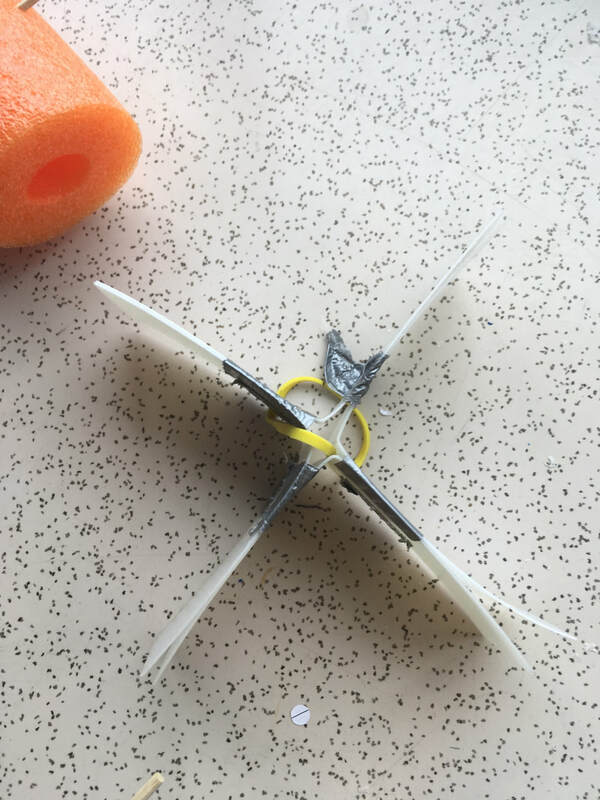 Upon doing so, they incorporated these elements into their machine designs. 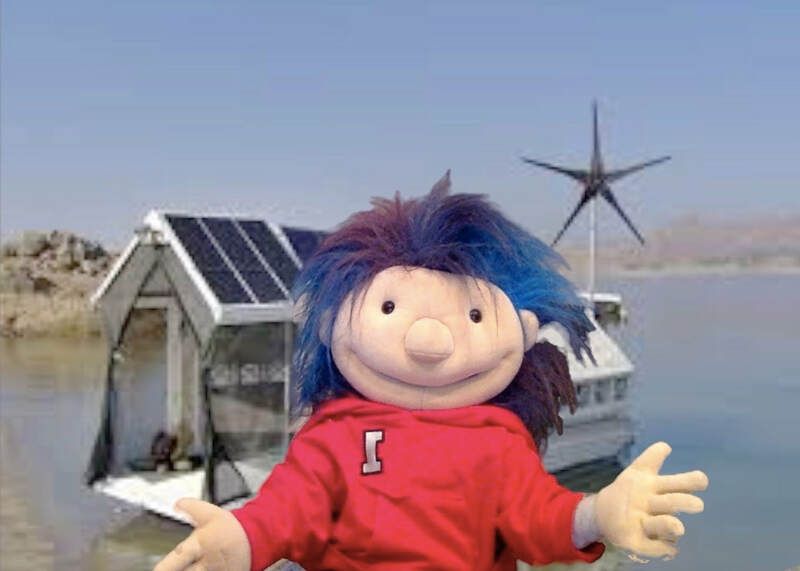 They explained how they would use solar panels or wind turbines to create electricity which would power the lights of their boat, an anchor or jet engines. 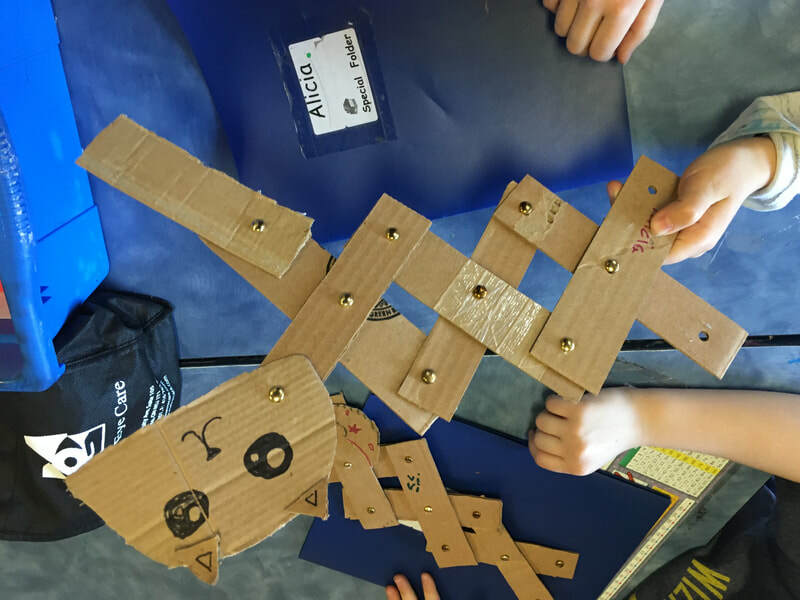 When their design was complete, the students then recorded how long it took for their machines to travel 1 meter. 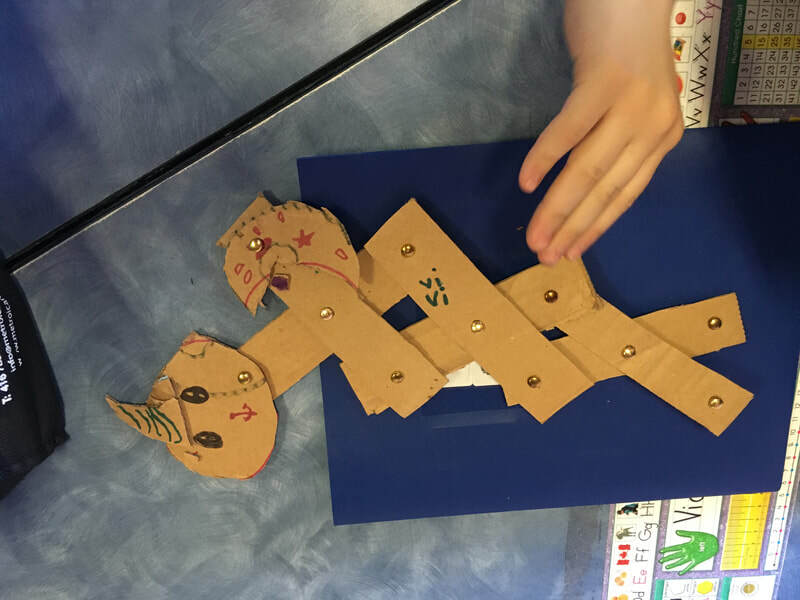 We also looked at other units of measurement such as centimetres, meters, kilometres, inches and yards. 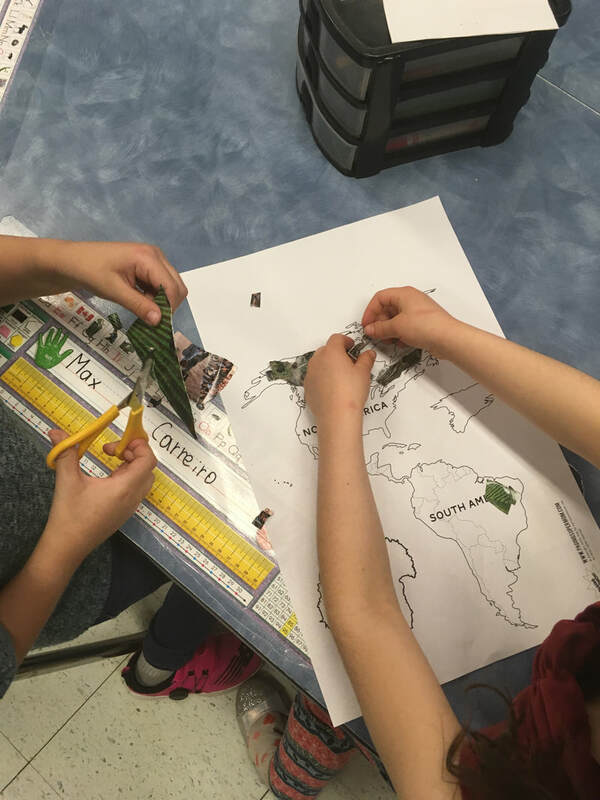 In doing so they were able to infer which units would help our classroom character best measure the distance he would be traveling on his trip. 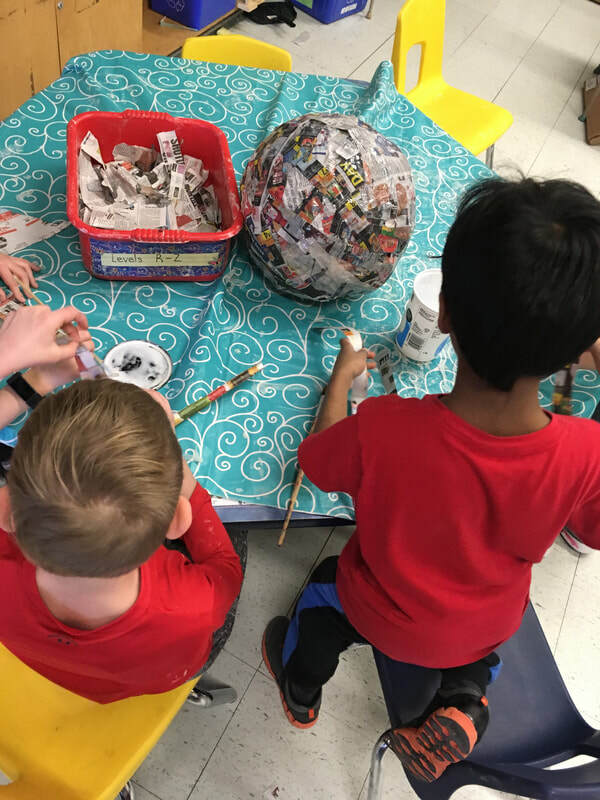 This week the students in room 101 completed their papier mache globes. 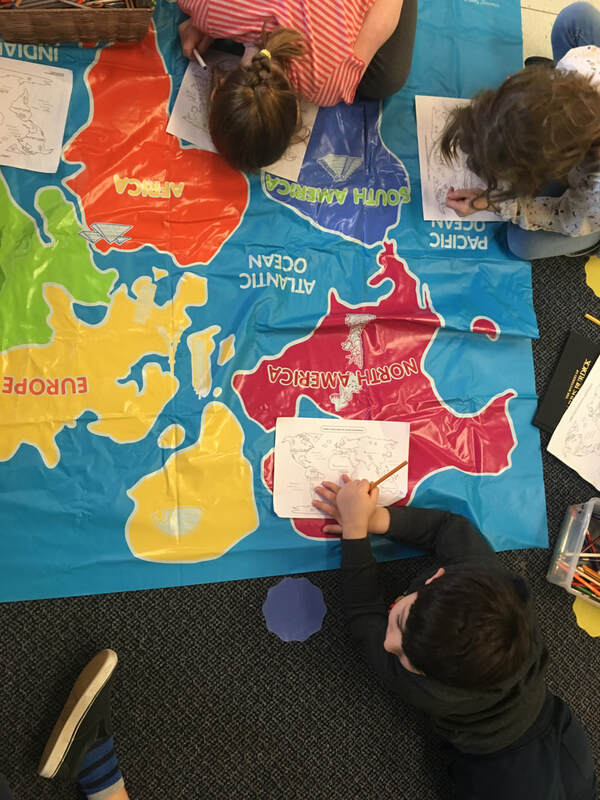 Once they had done so our classroom character Dex let us know that the continent he is going to explore is North America. 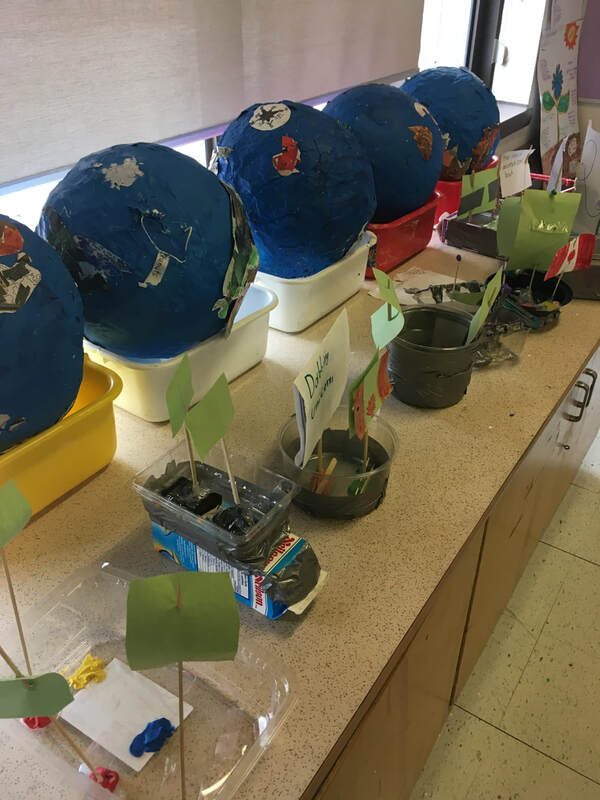 He then informed the students that before he sets off on his journey the students need to explore different forms of energy. 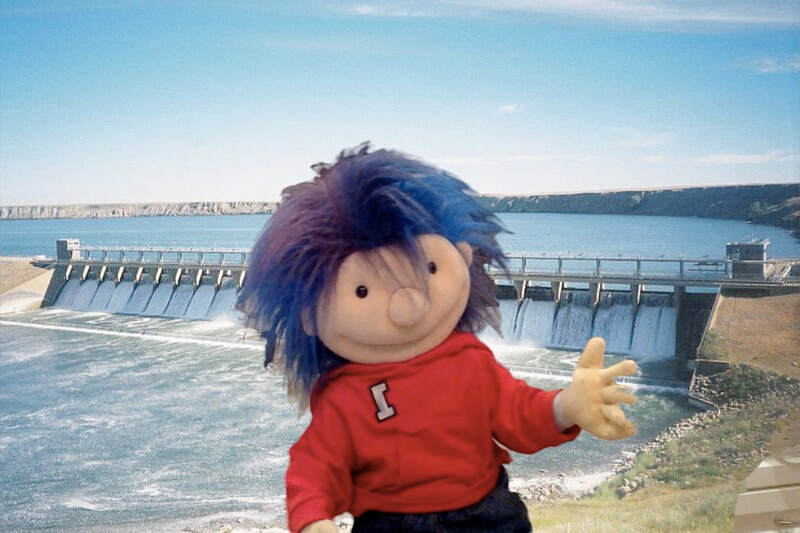 Dex wants to know what types of energy he can use to move around North America and which one would be best for the earth. 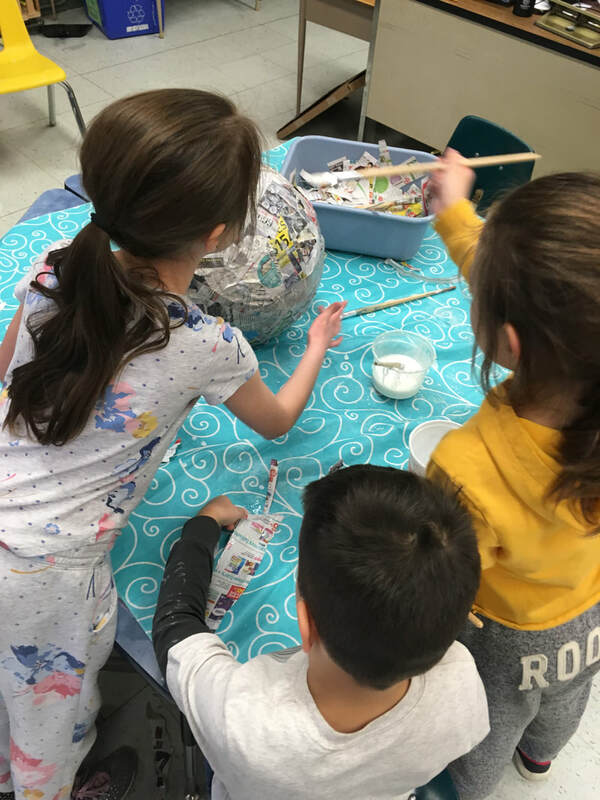 On Tuesday, the students explored energy from moving air. 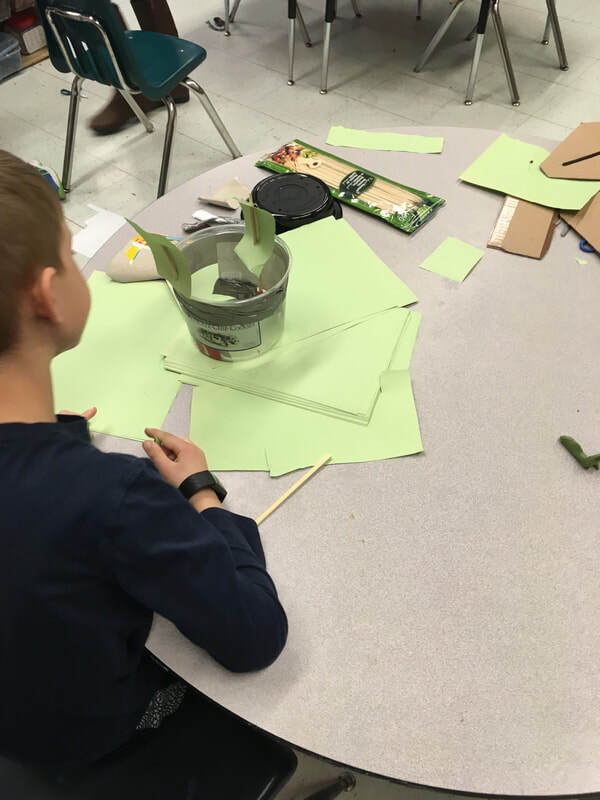 They started to build boats that used the power of the wind to move. 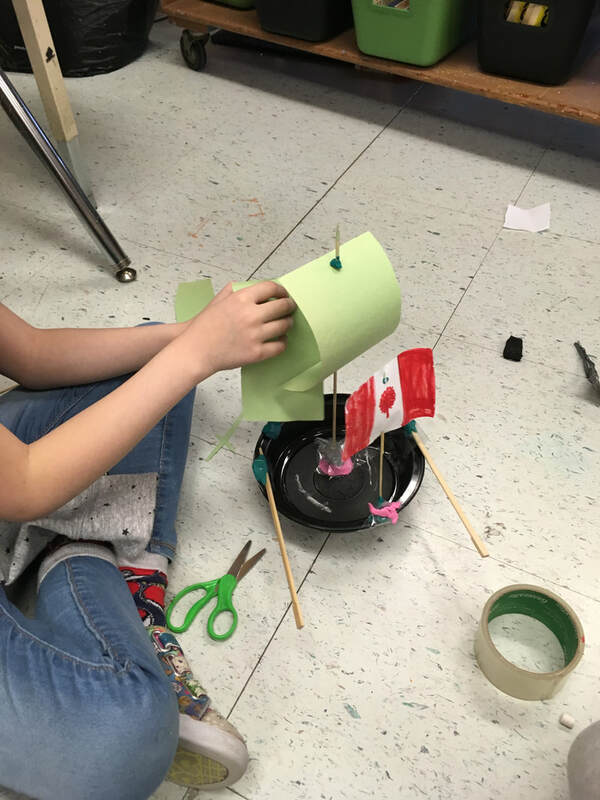 While creating their boats the students examined how the area of the flag and the position of the flag pole would change how quickly the boat could travel on its course. 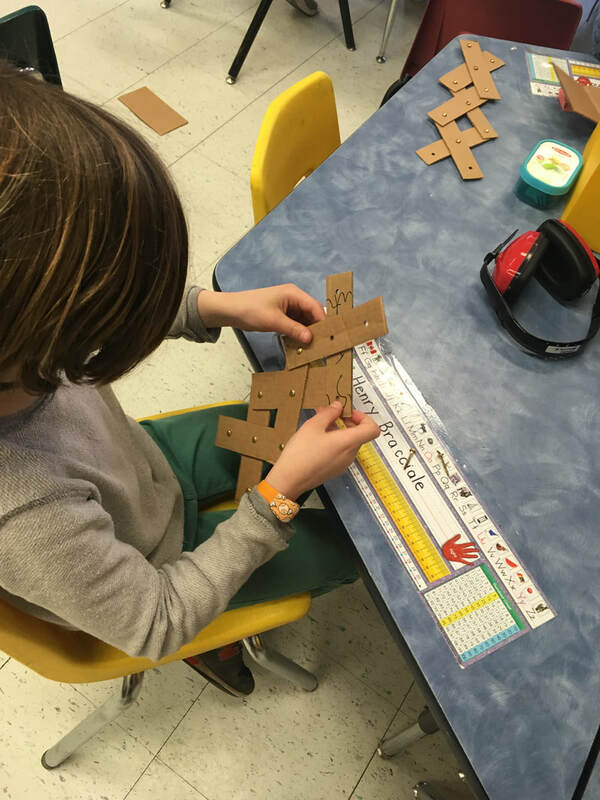 They also explored different 3D shapes and looked at which shapes would be best for the base of their boats. 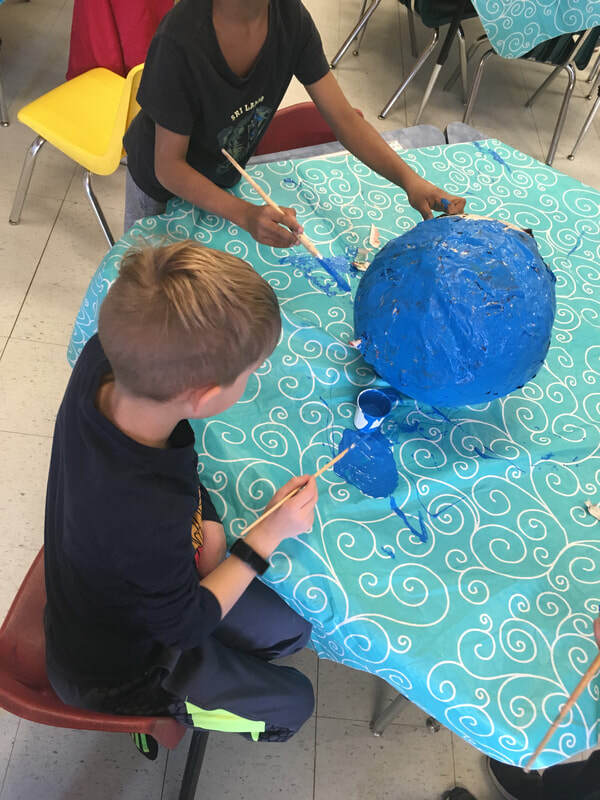 This week, our classroom character Dex informed the students that he was going to go on a trip somewhere in the world. 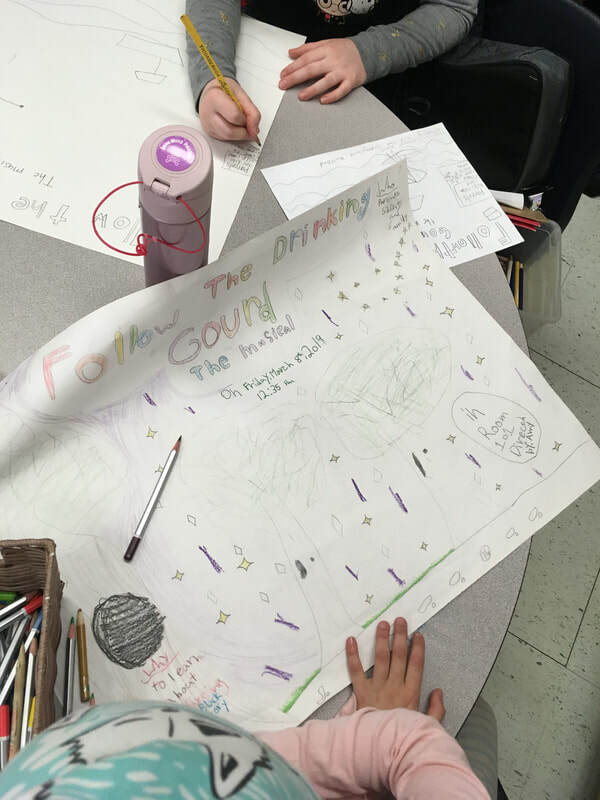 Before he left on his travels he wanted the students to infer where he was going. Dex left them a poem which contained three clues. He said the continent he would be going to had a "t" in its name, was vast and wedged between the Atlantic and Pacific Ocean. 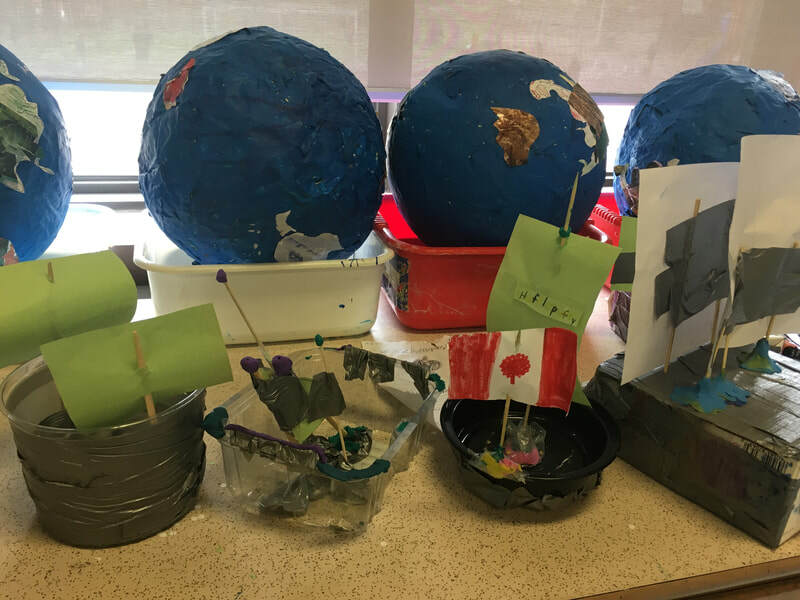 To learn the continents and oceans the students started making papier mache globes. 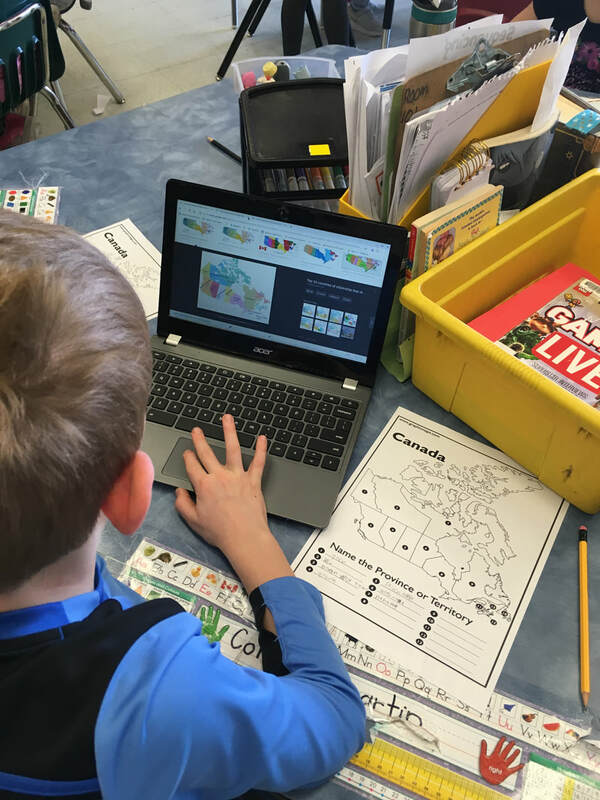 They also were given the opportunity to play continent twister during innovation stations time. 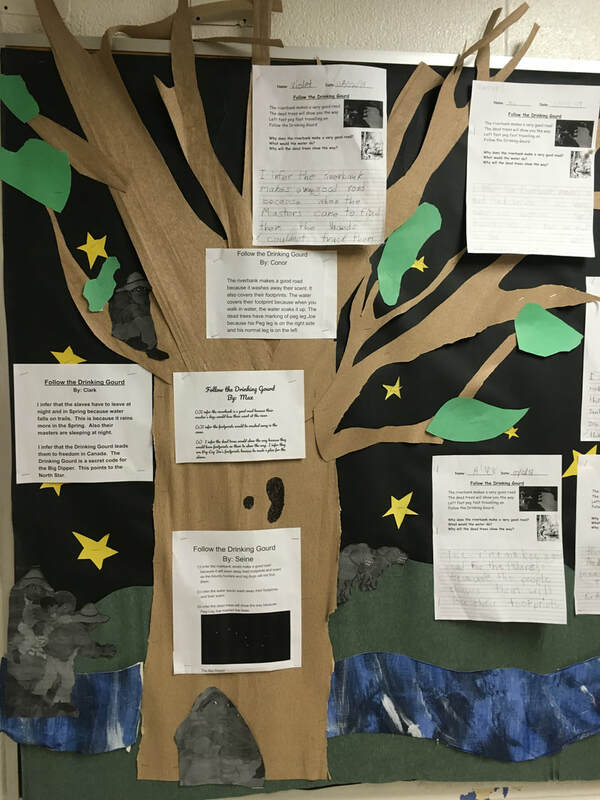 As an extension of this activity, students also used persuasive writing to explain why or why not Dex should travel the world alone. 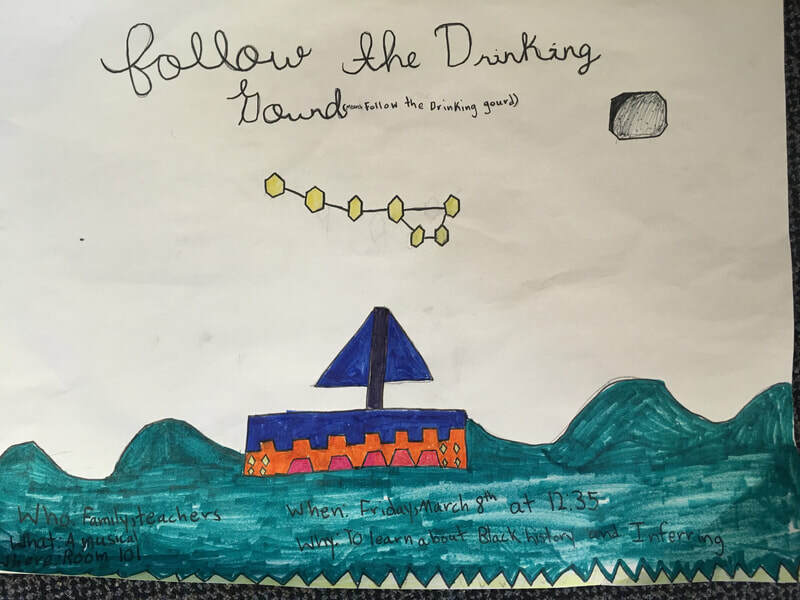 This week, the students created posters to promote our show. 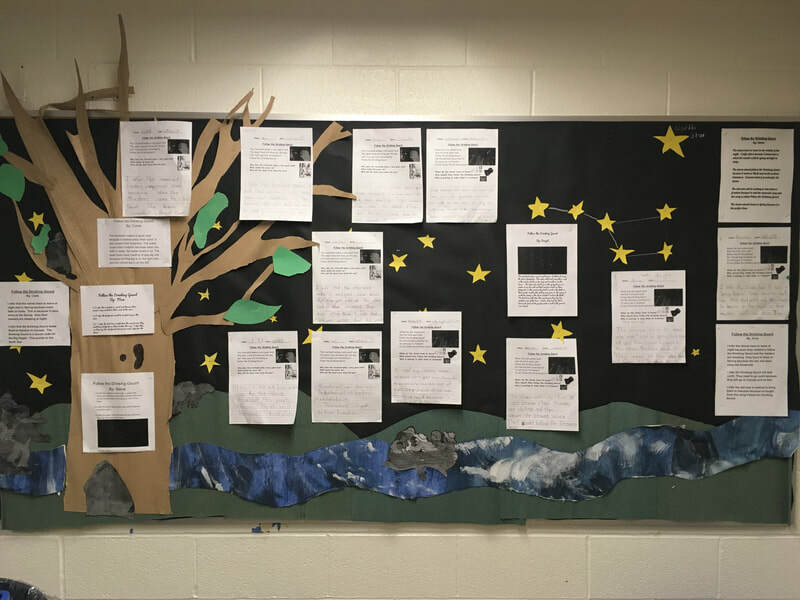 These posters incorporated curriculum expectations in media literacy, writing and mathematics. 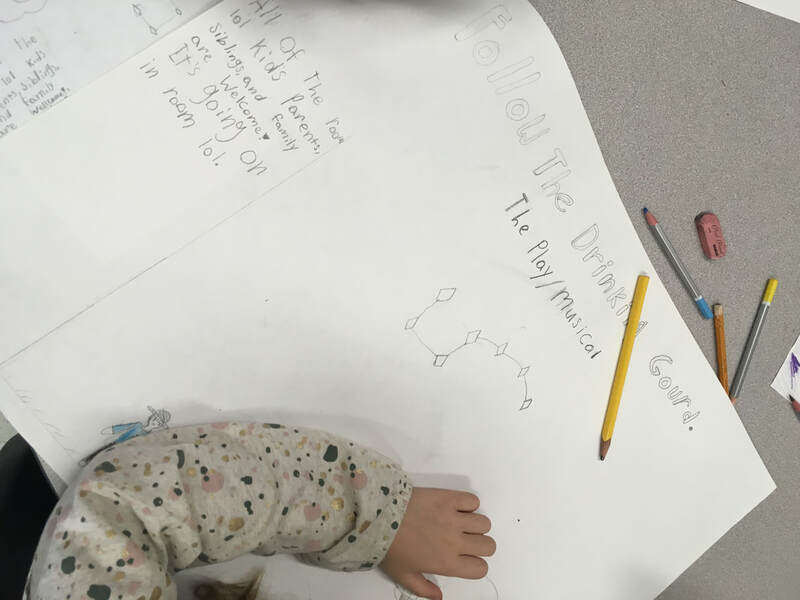 The students first thought about the target audience that they were making the poster for. They used a graphic organizer to include all the details needed to reach that audience (parents, siblings, schoolmates and administration). 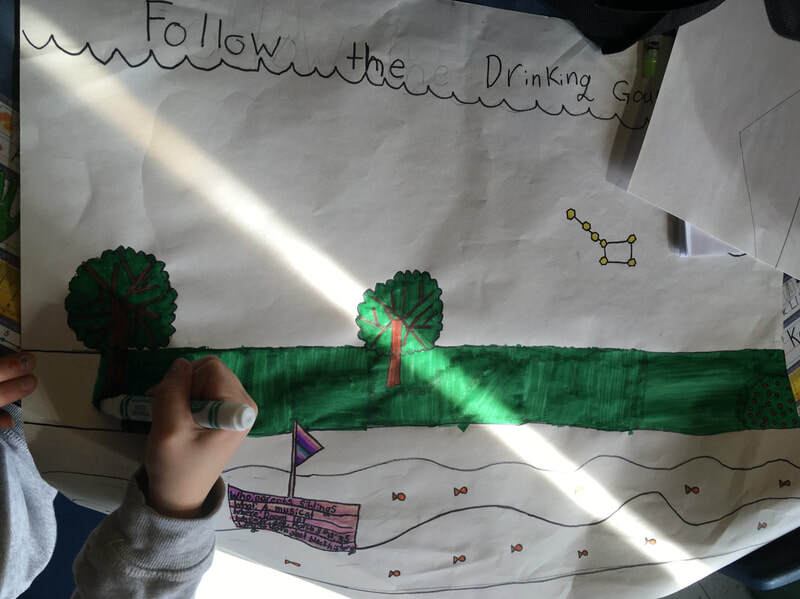 To create the images for the posters students also experimented with different angles, parallel lines and polygons. 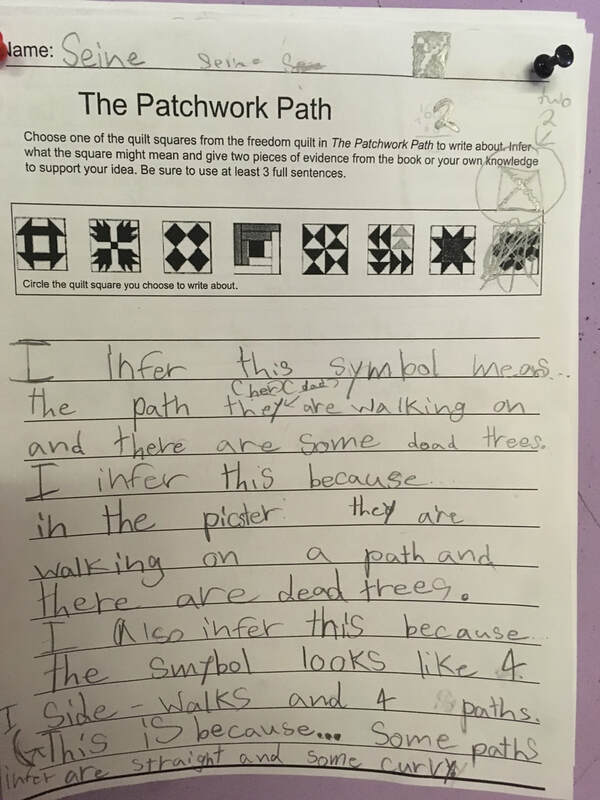 This week the students continued to work on building their inferring skills. 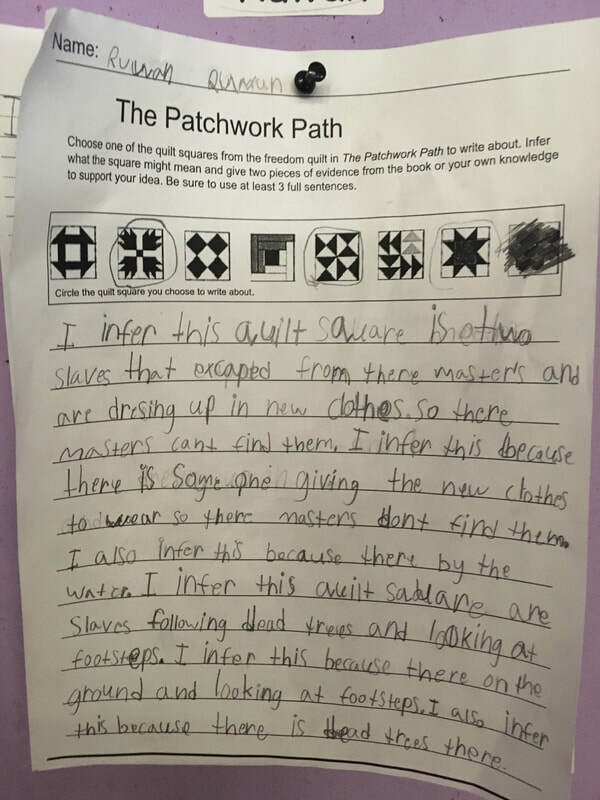 After having studied many texts such as Follow the Drinking Gourd and learning about the Underground Railroad the students examined the book The Patchwork Path. 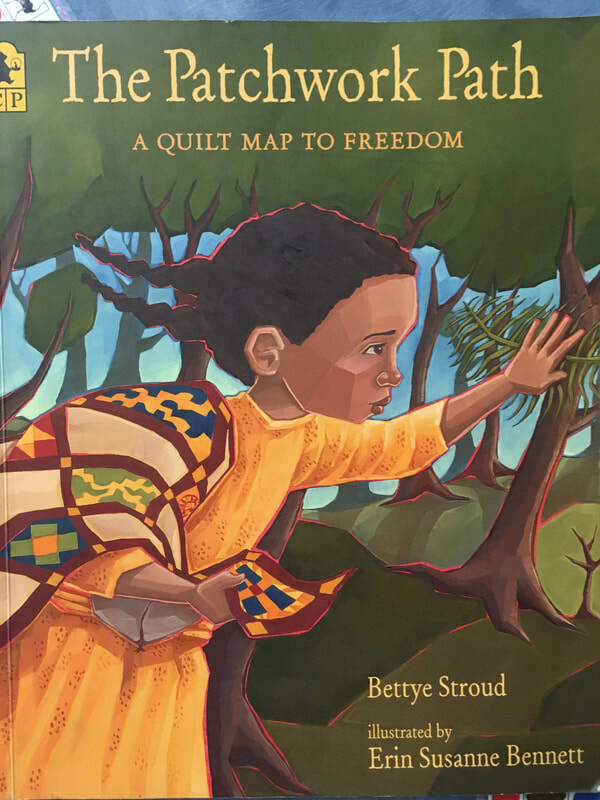 Students had already learned that in order to escape on the Underground Railroad, slaves used secret maps that were hidden in songs and symbols in quilt squares. 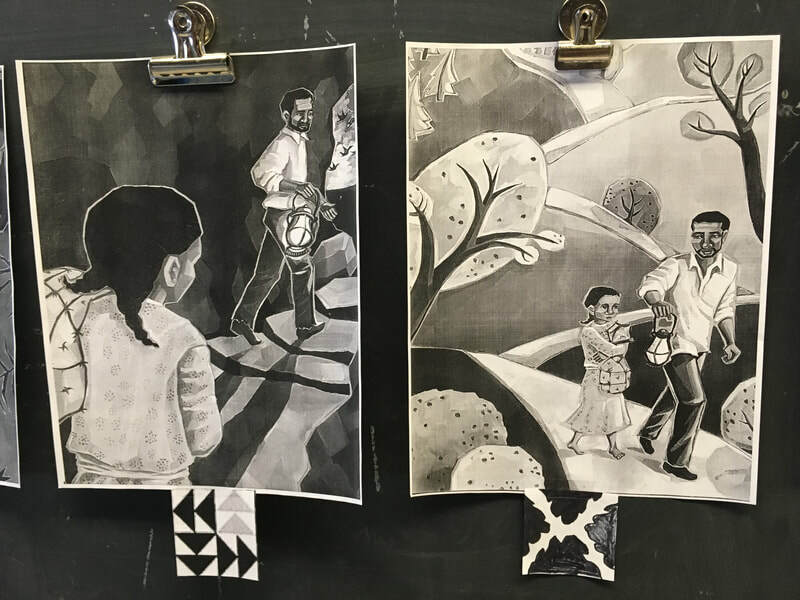 Before reading this text, the students did a picture walk of the book. 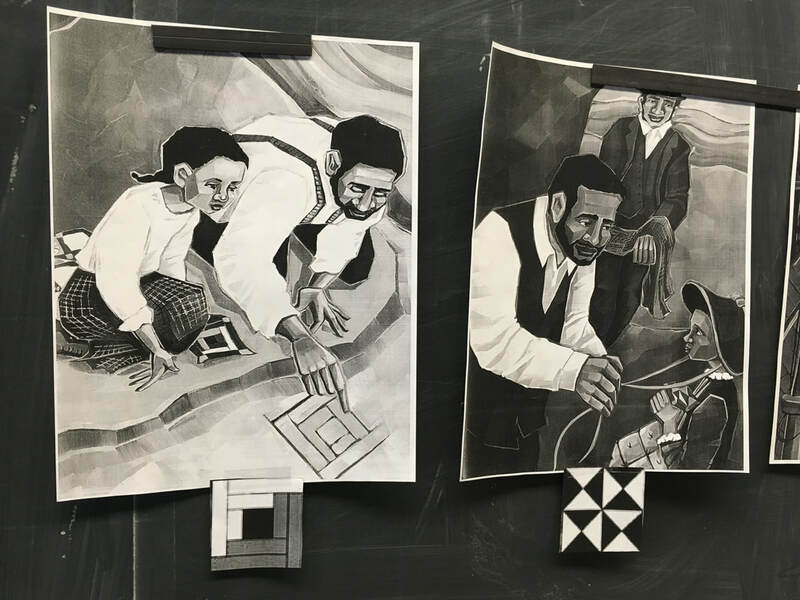 Drawing from the pictures and their background knowledge, the students inferred what each quilt square in the book represented. 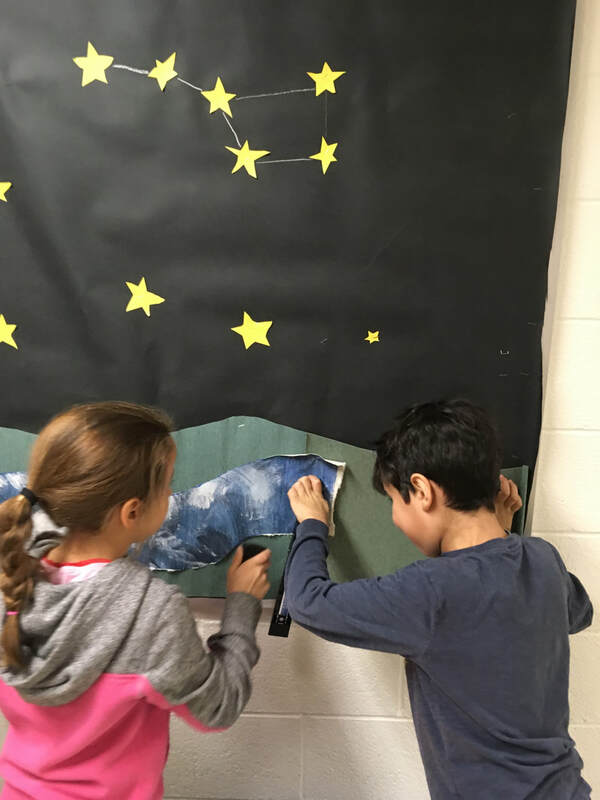 They needed to use evidence from their picture or their background knowledge to back up their predictions. 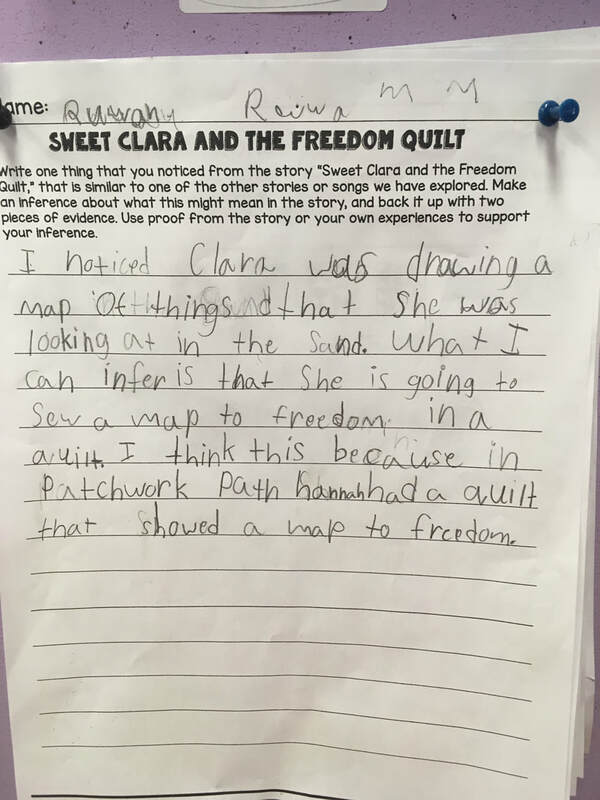 Following The Patchwork Path Lesson, the students examined the book Sweet Clara and the Freedom Quilt. 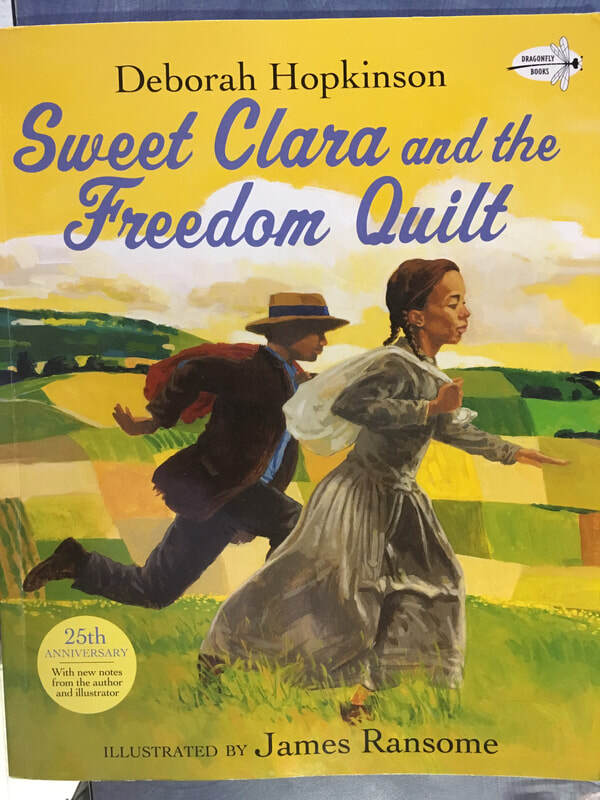 During this lesson the students paid close attention to the actions taken by the main character Clara in the book. We stopped reading this book half-way through. 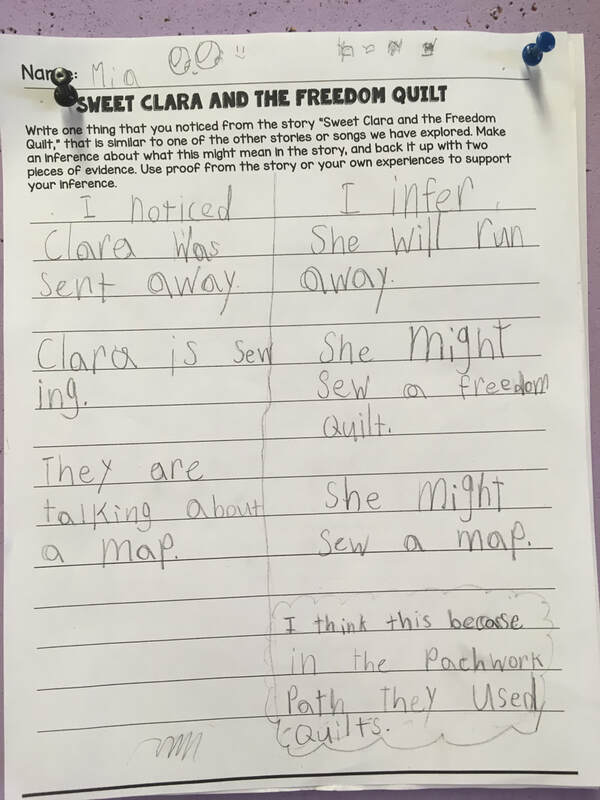 Based on their prior knowledge gained from the books they had read on The Underground Railroad the students were asked to infer what further actions Clara would take. 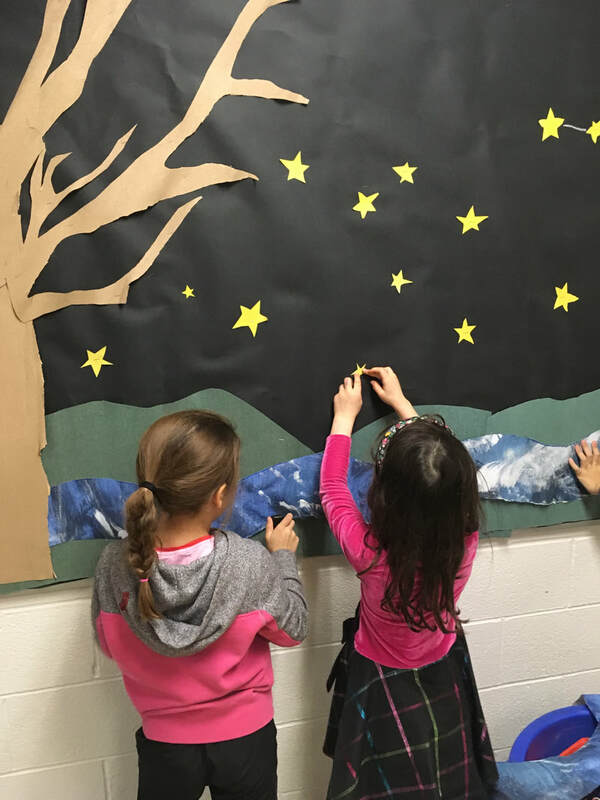 They needed to use evidence from the story and background knowledge to back up their predictions. 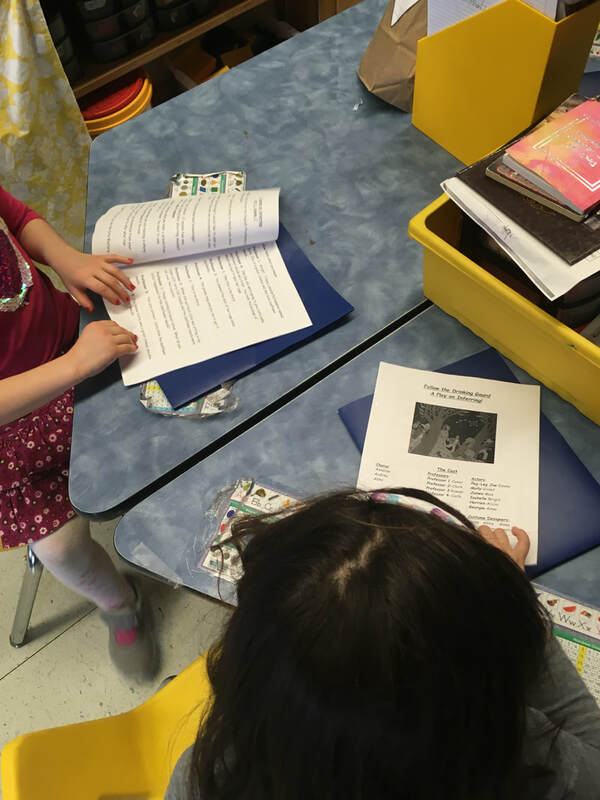 This week the students have continued to work on our whole class project of putting on a musical together. 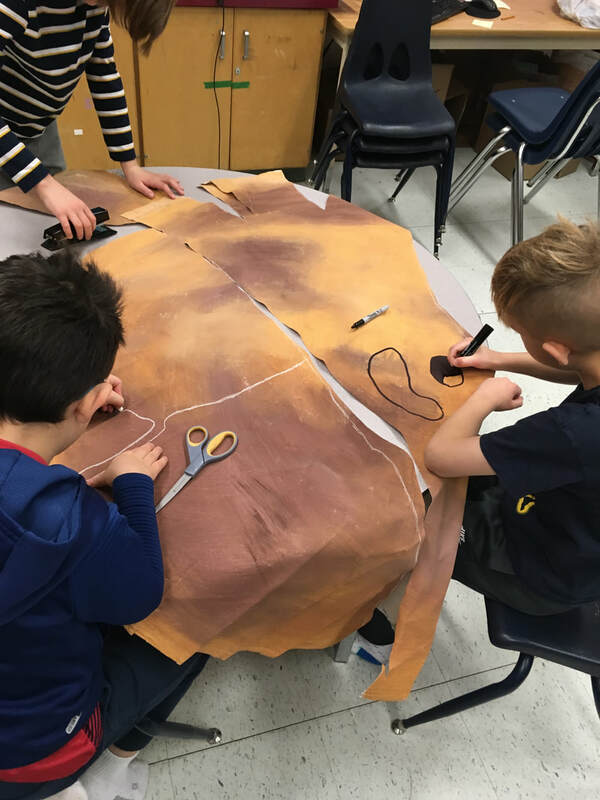 Watching the students take ownership of their own learning in this project has been a really rewarding experience. 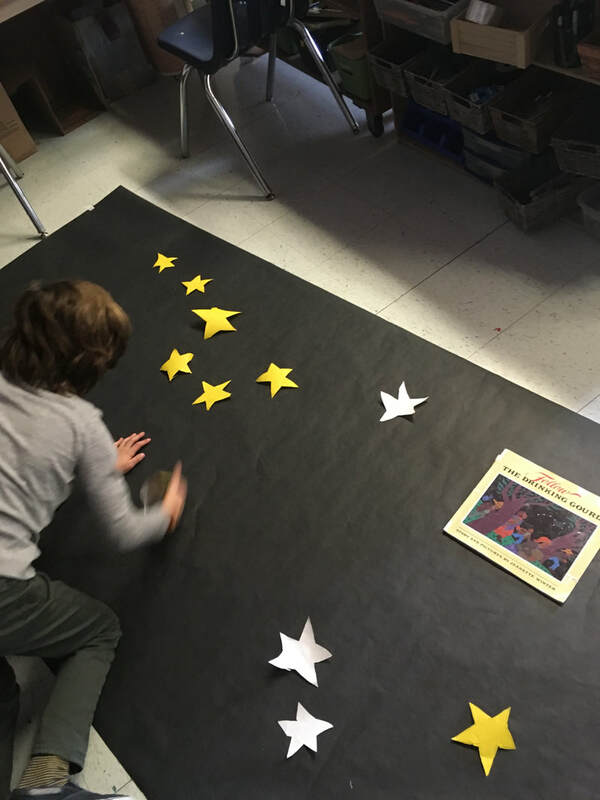 Each morning when the students come into the class they are permitted to work on an independent project of their choice for the first 20 minutes of the day before we assemble for our Daily News routine. 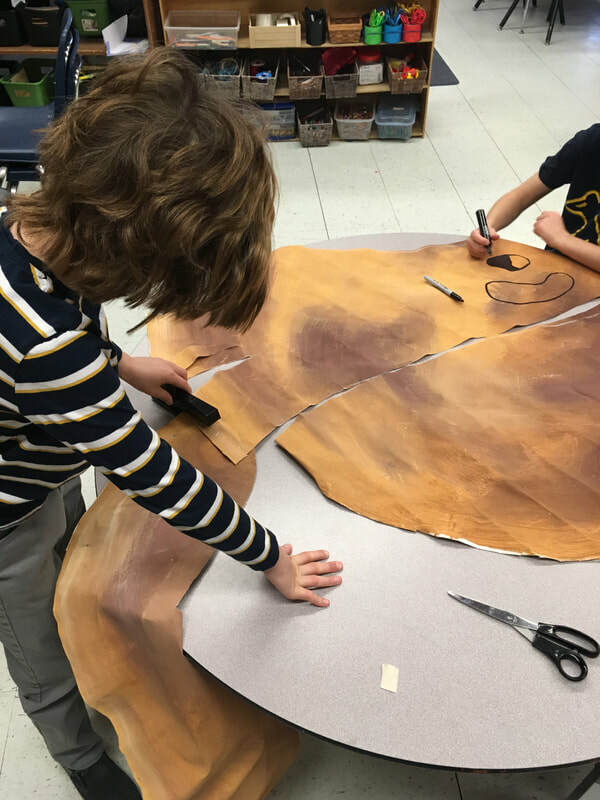 This week during this time, without any prompting I witnessed how the students gathered in groups to work on their lines, create the set and design costumes. 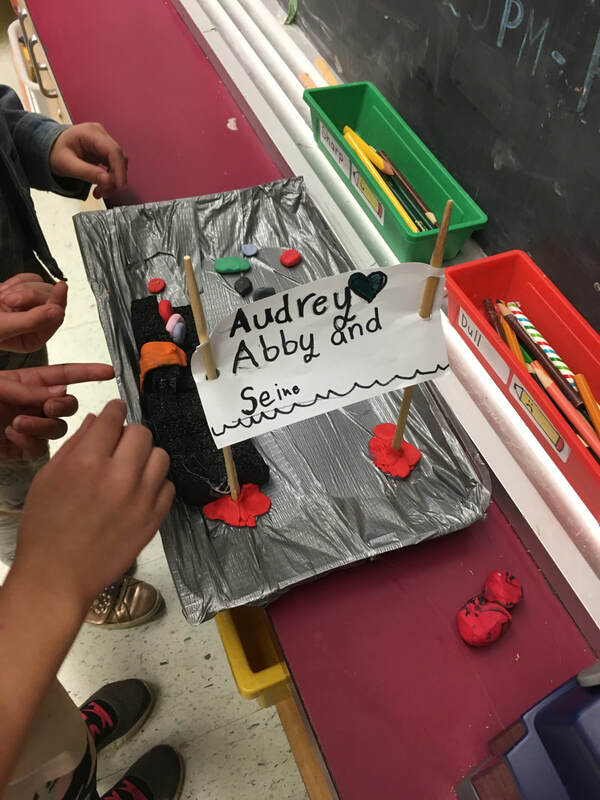 Even my most reluctant writers eagerly wrote out the steps involved to creating the props needed on stage and how they designed their creations. 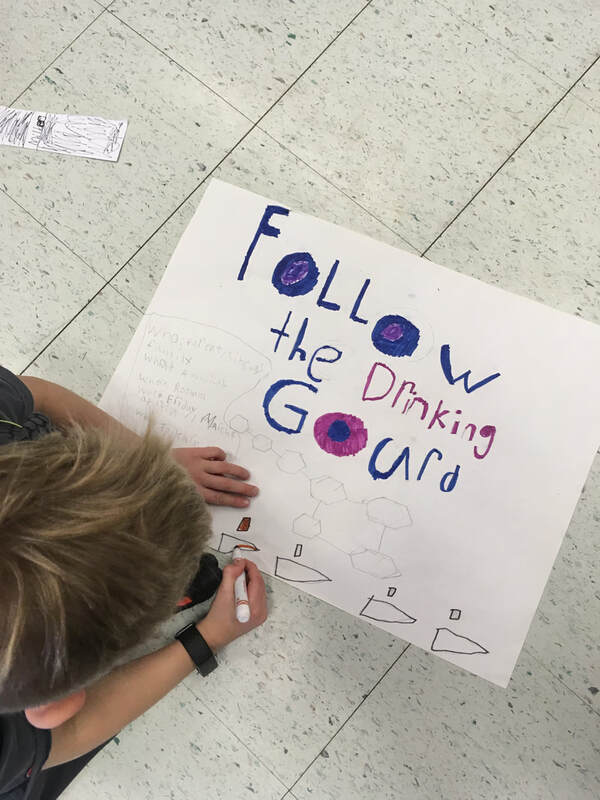 This week the students finished decoding the song, "Follow the Drinking Gourd". After they had finished this, they read over the musical on this topic that they will be putting on for our school community. 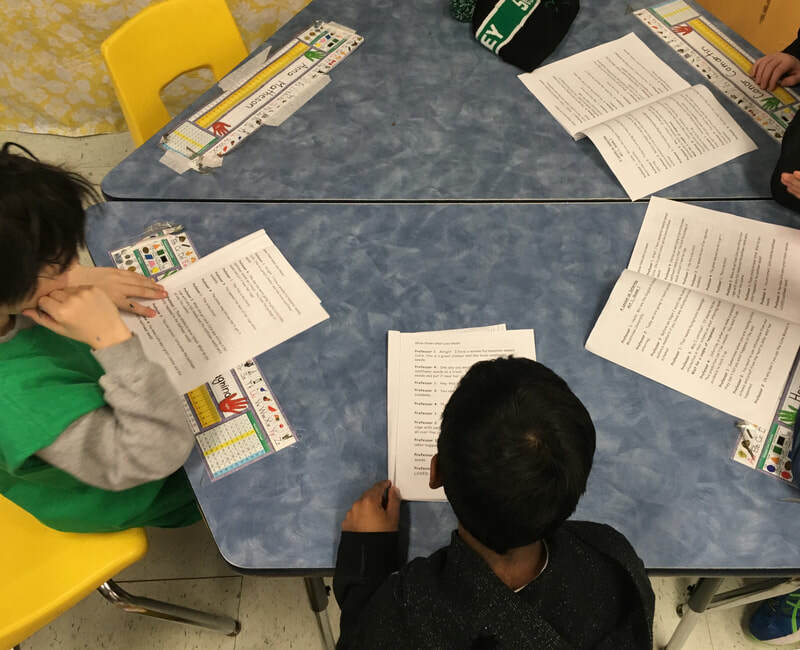 The students signed up to play actors, set designers, costume designers and chorus members. They were all so pleased to find out which part they received.